Belgium is known for its culinary delights, of which Belgian Sugar Bread or Craquelin is one of our favorites. 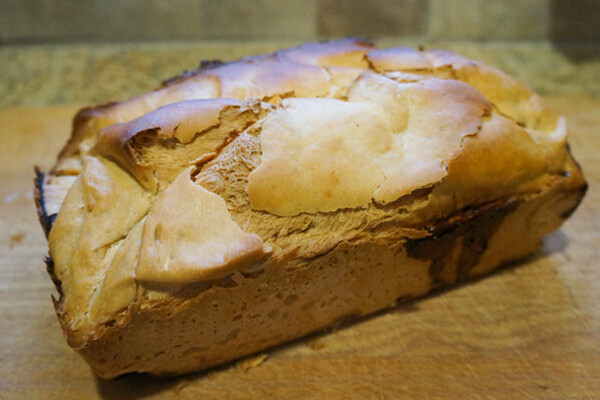 It’s a little bit bread and a little bit pastry but every bit amazing. The smell that permeates the kitchen while the Craquelin bakes is indescribable. Craquelin is simply addictive and scrumptious and goes perfect with a cup of tea or fresh brewed coffee! 1. Freeze Belgian pearl sugar in a storage baggie in the freezer for at least one hour. 2. In a small bowl, combine the warm water, 1 tablespoon of the fine sugar, and yeast. Set aside for 5-10 minutes, or until the yeast becomes frothy and active. 3. In a large bowl, sift flour, salt, and remainder (1/4 cup) of the fine sugar. Mix well. 5. Combine the active yeast mixture with the eggs, and begin mixing on low speed with stand mixer’s dough hook or by hand with a wooden spoon, stirring from the center out. This will lightly beat the eggs. Begin to slowly incorporate more and more of the flour mixture. 6. Turn your mixer to medium-low for a 5-6 minutes or knead by hand for 6-8 minutes. 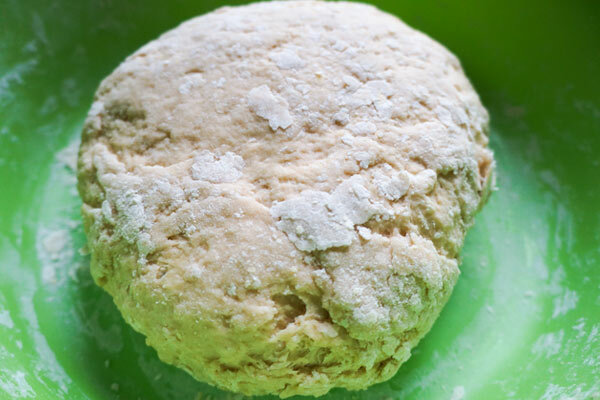 The dough should become fairly stiff – if it is too sticky to knead, add up to a tablespoon of flour. Once all ingredients have been combined, allow the dough to rest for 10-15 minutes. 7. Add crushed ice and one cube of butter to the dough. Mix on low speed or knead with your hands until the butter has disappeared before adding another cube. Continue adding butter in this fashion. The dough will become quite sticky. Continue mixing for a good 8-10 minutes by machine or 10-15 minutes by hand, until the dough is a silky (and sloppy) mess. Scrape down the sides of the bowl often to be sure all the butter is integrated. 8. Transfer the dough to a clean, lightly greased bowl (at least twice the size of the dough) and cover loosely with plastic wrap. Allow the dough to rise at room temperature for 30 minutes, then refrigerate for 2-3 hours. After which, the dough can be used immediately, refrigerated overnight, or frozen in an air-tight container for up to one week. 9. Grease two 9×5 inch loaf pans. 10. 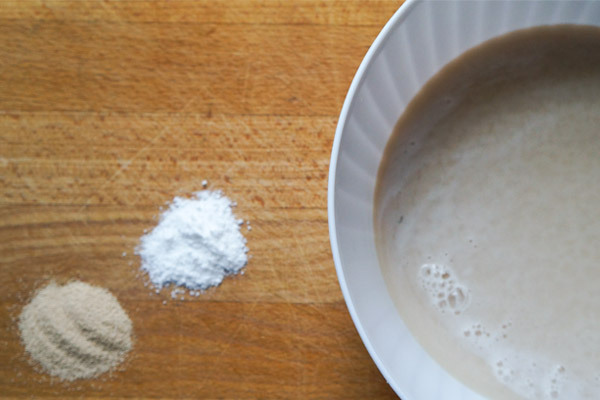 Remove dough from bowl and set on a lightly-floured surface. Divide the dough in half. 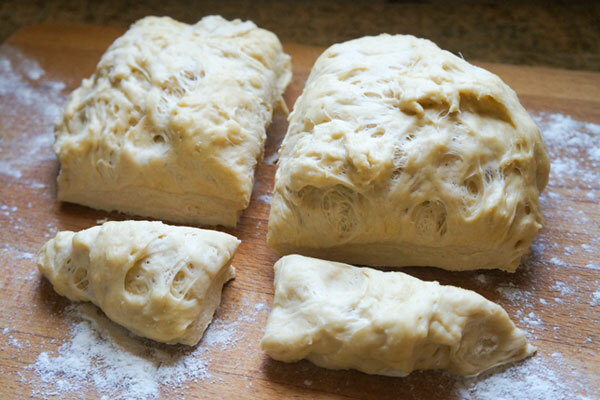 Take each half and cut off a small ball of dough, approximately 1/8th – 1/4 of the size of the half. Set aside these small balls of dough for later. 11. Take one of the larger pieces of dough and press in a handful of Belgian pearl sugar, flattening the dough into a wide square. Fold the dough over itself like an omelet, and press in another handful of frozen pearl sugar, now creating a rectangle. Repeat 1-2 more times, pressing and folding, or until half of the pearl sugar is used. 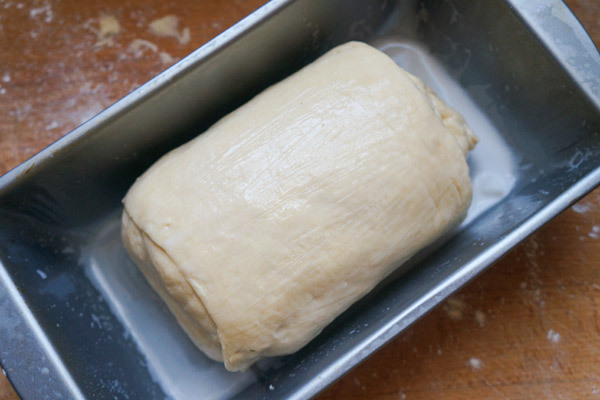 Shape the last rectangle into a cylinder the length of your loaf pan. 12. Roll (or press with your fingers) one of the smaller dough balls into a long thin envelope and wrap it around the larger cylinder, pinching to seal at the bottom. 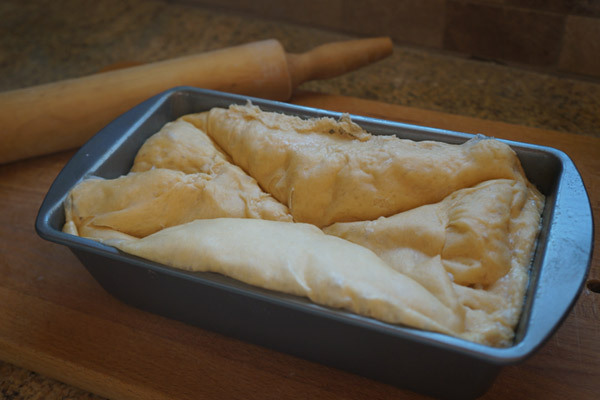 Place in a greased loaf pan, seam side down, and repeat with the rest of the dough. 13. Brush the top of each loaf with some of the remaining egg white. Cover loosely with plastic wrap, and let the dough proof for 4 hours, or until doubled in size. The loaves should rise up to the tops of the pans. They will be sticky to the touch, but feel very soft and full of air – gently poke the center of one loaf. 14. Preheat the oven to 350°F. 15. Brush once more with the rest of the egg white, and using your pastry brush (or fingers) gently make a shallow indentation in the shape of an X across the top of each loaf. This promotes even baking. The loaves will puff and fill out as they bake in the oven. Optional: sprinkle with Belgian pearl sugar. 16. Place loaves on the middle rack and bake for 30-40 minutes. The tops should turn a deep golden brown. To check doneness, you can also use an instant-read thermometer inserted into the center to read 200°F. Set the loaf pans on a wire rack and allow the bread to cool for 30 minutes before removing from the pans. Voilà! Enjoy the loaves fresh out of the oven or allow them to cool and wrap tightly in plastic wrap before storing in the freezer. The loaves are good for up to a month in the freezer. Freeze Belgian pearl sugar in a storage baggie in the freezer for at least one hour. In a small bowl, combine the warm water, 1 tablespoon of the fine sugar, and yeast. Set aside for 5-10 minutes, or until the yeast becomes frothy and active. In a large bowl, sift flour, salt, and remainder of the fine sugar. Mix well. 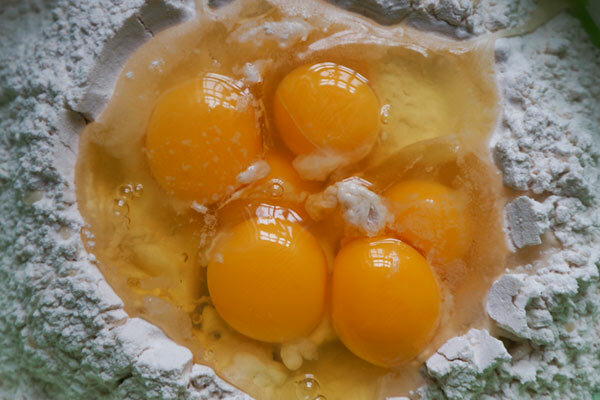 Combine the active yeast mixture with the eggs, and begin mixing on low speed with stand mixer’s dough hook or by hand with a wooden spoon, stirring from the center out. This will lightly beat the eggs. Begin to slowly incorporate more and more of the flour mixture. Turn your mixer to medium-low for a 5-6 minutes or knead by hand for 6-8 minutes. The dough should become fairly stiff – if it is too sticky to knead, add up to a tablespoon of flour. Once all ingredients have been combined, allow the dough to rest for 10-15 minutes. 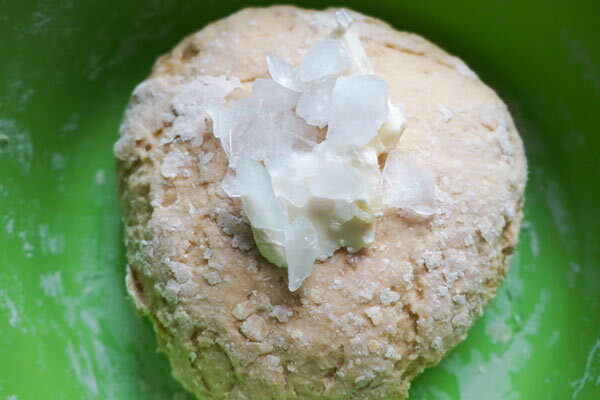 Add crushed ice and one cube of butter to the dough. Mix on low speed or knead with your hands until the butter has disappeared before adding another cube. Continue adding butter in this fashion. The dough will become quite sticky. Continue mixing for a good 8-10 minutes by machine or 10-15 minutes by hand, until the dough is a silky (and sloppy) mess. Scrape down the sides of the bowl often to be sure all the butter is integrated. Transfer the dough to a clean, lightly greased bowl (at least twice the size of the dough) and cover loosely with plastic wrap. Allow the dough to rise at room temperature for 30 minutes, then refrigerate for 2-3 hours. After which, the dough can be used immediately, refrigerated overnight, or frozen in an air-tight container for up to one week. Remove dough from bowl and set on a lightly-floured surface. Divide the dough in half. 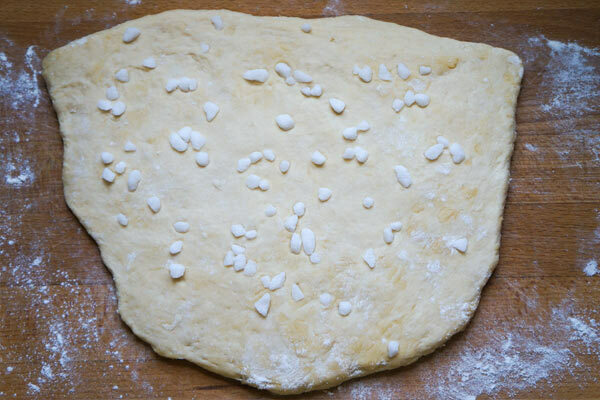 Take each half and cut off a small ball of dough, approximately 1/8th – 1/4 of the size of the half. Set aside these small balls of dough for later. Take one of the larger pieces of dough and press in a handful of Belgian pearl sugar, flattening the dough into a wide square. Fold the dough over itself like an omelet, and press in another handful of pearl sugar, now creating a rectangle. Repeat 1-2 more times, pressing and folding, or until half of the pearl sugar is used. 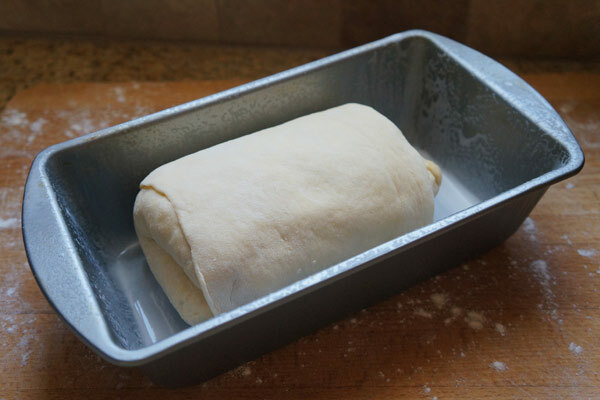 Shape the last rectangle into a cylinder the length of your loaf pan. Roll (or press with your fingers) one of the smaller dough balls into a long thin envelope and wrap it around the larger cylinder, pinching to seal at the bottom. 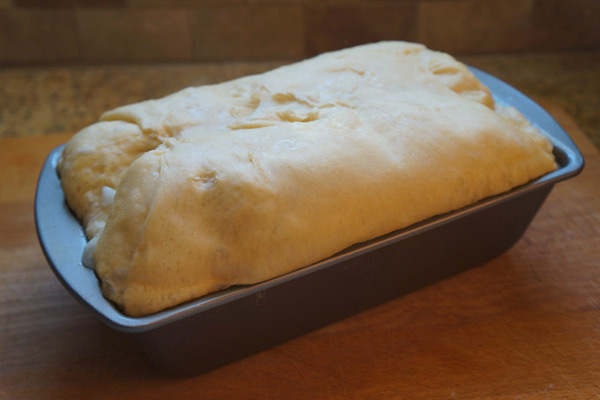 Place in a greased loaf pan, seam side down, and repeat with the rest of the dough. Brush the top of each loaf with some of the remaining egg white. Cover loosely with plastic wrap, and let the dough proof for 4 hours, or until doubled in size. The loaves should rise up to the tops of the pans. They will be sticky to the touch, but feel very soft and full of air - gently poke the center of one loaf. Brush once more with the rest of the egg white, and using your pastry brush (or fingers) gently make a shallow indentation in the shape of an X across the top of each loaf. This promotes even baking. The loaves will puff and fill out as they bake in the oven. Optional: sprinkle with Belgian pearl sugar. Place loaves on the middle rack and bake for 30-40 minutes. The tops should turn a deep golden brown. To check doneness, you can also use an instant-read thermometer inserted into the center to read 200°F. Set the loaf pans on a wire rack and allow the bread to cool for 30 minutes before removing from the pans. 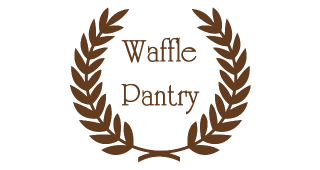 Many thanks to Willow Arlen from whom we adapted this fabulous recipe! the printed ingredients list is missing a few items. eg. the eggs, butter and crushed ice are not there. This is confusing if one tries to print the list off. Thank you for bringing this to our attention, Mariette. We’ve gone ahead and corrected the recipe. I hope you enjoyed the Dutch sugar bread! Your instructions call for 1 tbsp of fine sugar to be mixed with the yeast, but then step 3 says to mix the remainder of the fine sugar with the flour and salt…but there is no “remainder” unless you mean the 1/4 cup of belgian pearl sugar? And I assume step 11 means to say “..handful of frozen pearl sugar…”? Used to get this in the Flemish section of Brussels and sure do miss it…hope it comes out! Larry, thank you for pointing this out to us! We’ve updated the recipe to clear up the confusion. The total amount of fine sugar to be used is 1/4 cup + 1 tablespoon — 1 tablespoon in step 2 of the recipe and the remaining 1/4 cup in step 3. Don’t worry if you missed the 1/4 cup of fine sugar in step 3, the pearl sugar will add plenty of sweetness to the bread. Also, you’re correct, the pearl sugar added in step 11 is a handful of frozen pearl sugar. You want to be sure to work with frozen pearl sugar throughout the whole recipe. Let us know if you have any further questions. Happy baking!